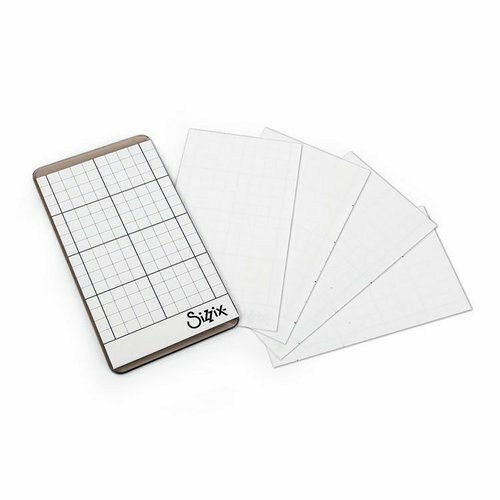 Stick with a perfect project with the Sizzix Sticky Grid Sheets 5 Pack! The package includes 5 sticky grid sheets that measure 2.5" x 4.5". 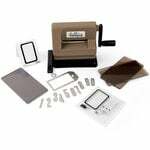 The sheets are a temporary adhesive that allows the sheet to be used multiple times on either side. 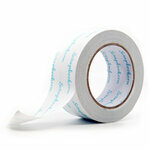 They are just sticky enough to adhere to dies and the cutting pad, but won't tear your paper! 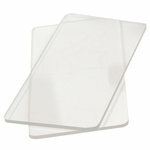 Use them to hold Thinlits and Framelits in place during die cutting for precise cuts. Use the grid lines to align your project. All items are sold separately. I think this will help a lot . I have not use it yet . But when I do I will let you know . Good day...what is the point of these sheets when there is the magnetic platform? By: designcreature (23-Nov-18) Helpful Question? Yes | No Thank you! Report Inappropriate This question has been reported. Thank you! There is no magnetic platform for the SideKick. 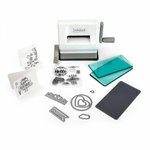 That's the small die cutter that came out in 2018. By: coppen (10-Feb-19) Helpful Answer? Yes | No Thank you! Report Inappropriate This Answer has been reported. Thank you! If your cutting plates have any bowing, it is hard to have the dies "adhere" to the magnets. I don't have the magnetic platform for the Big Shot. But I have a HUGE roll of blue painter's tape and use that. By: Suekuku (30-Dec-18) Helpful Answer? Yes | No Thank you! Report Inappropriate This Answer has been reported. Thank you!